Buckhorn Llama Company was formed in 1985 as a business entity focused on providing pack animals and associated services for the public, businesses, and government agencies. A vision of using llamas for wilderness packing led to the formation of Great Divide Llamas in 1977. Over the next few years as we grew our herd to more than 50 brood females, the pioneering began. There were no templates or information available. We were a long way from South America and we had to formulate our husbandry and veterinary management by responding to needs as they arose. Our cattle operation gave us a model and instincts that helped immensely. More importantly, it highlighted the llama’s hardiness and remarkably low maintenance requirements. The same instincts and experience helped us train llamas and ultimately get them on the trail as productive packers. In 1979 we took our first family pack trip with two very green llamas. A trip that should have been a disaster, was bailed out by the intuitive skills of our minimally experienced llamas. Based on that experience, we determined to move to CO in 1982 to pursue llamas as a family business. That move gave rise to the formation of Buckhorn Llama Company in 1985, specifically to raise and train llamas as pack animals to be offered for sale and lease. Population migration to cities and ecologic concerns provided strong demand and a strong start for our business. Buckhorn pioneered the commercial llama leasing concept in response to the fact people living in cities wanted to use llamas, but lacked experience and resources to manage them in urban settings. It has been a successful concept and continues to grow 40 years later. The success of Great Divide Llamas and the validity of the llamas' packing ability gave rise to Buckhorn Llama Co., Inc. in 1985, formed to focus on the provision of packing services for the public, backcountry businesses, and land management agencies. Many people were interested in using llamas, but either could not or did not want to own, breed, or manage their own animals. Buckhorn has been filling that role, utilizing the animals produced by the Great Divide breeding program since that time. We are a family business and as the kids grew, so did their roles and responsibilities. They helped and ultimately oversaw feeding, training, orienting clients, and wrangling for guided trips. As they have grown and moved into their careers, they use and appreciate the skill sets they learned on the ranch. They now want their children to work on Papa’s llama ranch to add those same skills and perspectives. In addition to our family, we had a number of people who partnered with us through the years sharing our vision for expanding the awareness and use of llamas in the backcountry. Each brought a perspective and determination that helped to establish llamas as a premier pack animal and our company as a dependable source. to RMNP and Red Feather Ranger District. Fairplay Llama Race, Fairplay Colorado. to the public as well as government agencies. & WY under permits from USFS, BLM, and NPS. Ceased these offerings in 2015. 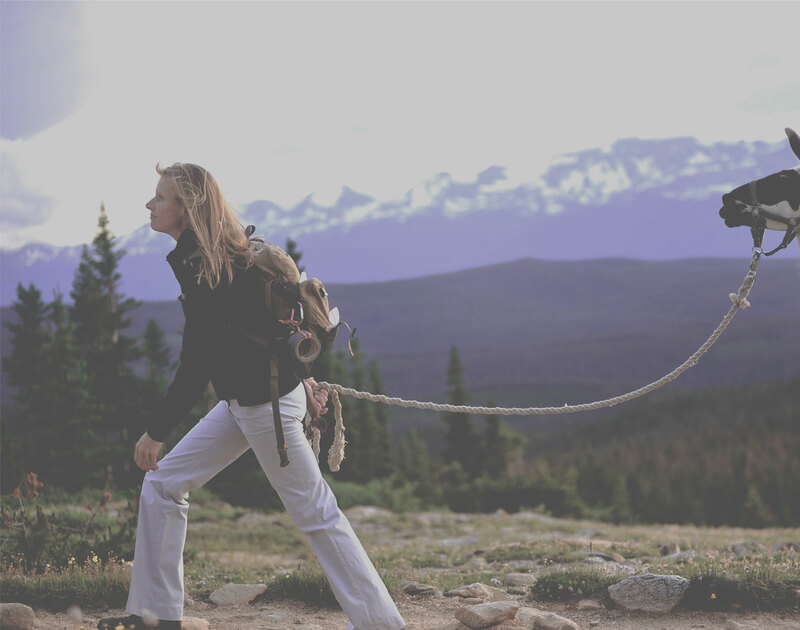 100% llama fiber clothing for mountaineering.